Solti's Frau Ohne Schatten on cd. On my WTBW list . Received the Keilberth Stereo Ring today. Watched the DVD of Peter Grimes from La Scala . John Graham-Hall is a wonderful Grimes...all petty madness. I love other interpreters like Anthony Rolfe Johnson and Philip Langridge. I can't imagine anyone being disappointed with his portrayal. Similarly, Ellen (Susan Gritton) is superb....a lovely range. I also enjoyed Felicity Palmers Auntie and the Balstrode of Christopher Purves. What suprised me most was the wonderful setting. It just brought the whole thing to life. I especially was touched by the scene during the church service with Ellen and the boy. 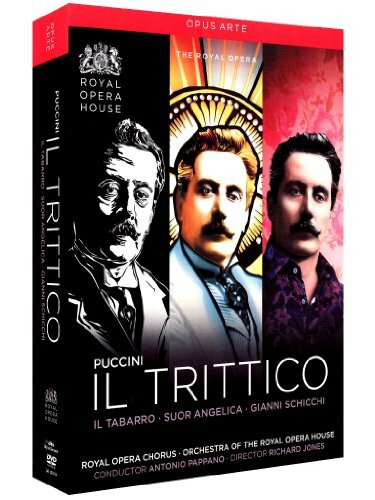 For DVD opera i look for performances that make me stick like glue and wow my senses....this one does. Much better than the Met DVD and the one from Zurich. Better cast, conductor and setting by far! I've just received a very well remastered version of the classic 1939 Met performance of Simon Boccanegra (Tibbett, Rethberg, Martinelli, Pinza, Warren), from the Canadian label Immortal Performances. I've searched all my life (and I am old now) for a well engineered restoration of this one, and this is it for me. Last edited by TrevBus; Aug-29-2013 at 01:24. Domingo and his Verdi Baritone arias. Very nice even though i was skeptical! Just received this wonderful dvd+cd and a second cd from Amazon. The documentary is a centennial tribute that is very well made and extremely affecting. A plus for me is that it's narrated by Charlotte Rampling. For my birthday I got the Claudio Abbado Falstaff CD with Bryn Terfel. I've listened to it three times and really enjoy it; Terfel is just as I remember him from the two radio broadcasts on which I heard him years ago. From Amazon I just ordered the EMI/Muti CD recording of Verdi's Attila with Samuel Ramey, Cheryl Studer, Neil Schicoff, and Giorgio Zancanaro. The Enchanted Island A Baroque patiche Written by Jeremy Sams Music of Handel, Vivaldi, Rameau and others. Yes, I went on a Joyce DiDonato kick. Besides feeling she is one of, if not the, leading Mezzos in the world today, she is from KC, Mo. Got to support one of our own( ). BTW, she is great on all 3, esp. Enchanted Island. Last edited by TrevBus; Sep-11-2013 at 04:17. Big order day for me. Wagner at the Met various artists. All times are GMT +1. The current date and time is Apr-25-2019 11:38.